“Three Bears Entertainment” is a production company founded in the end of 2012th by the famous Bulgarian actors Zahari Baharov, Vladimir Karamazov and Julian Vergov with projects in the field of performing arts, film production and advertising. They have produced five very successful stage plays. 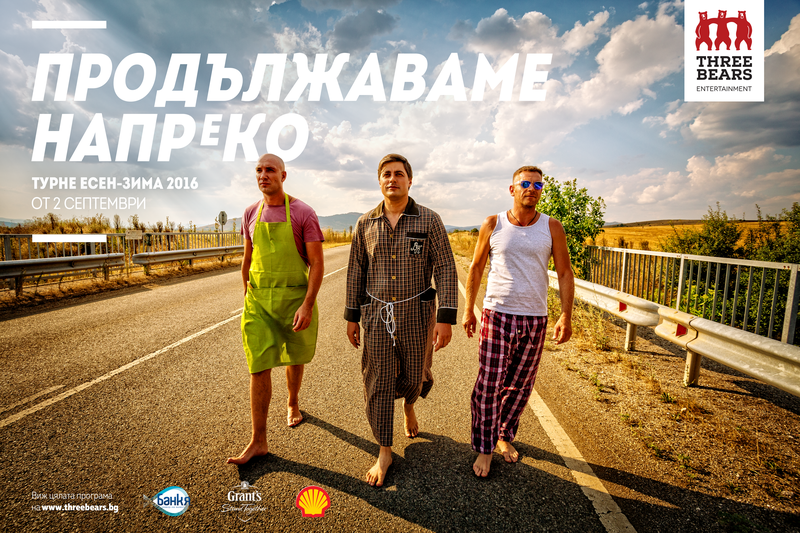 In 2016 they decided to go on a tour around Bulgaria. The first part which happened in the spring was very successful so they continued the tour in the autumn and needed some print adverts. The autumn tour had the ambition to meet the audience in 25 Bulgarian cities (the result: 13.5 thousand visitors and 3000 km passed). So the idea was to show the three actors doing things they normally would do in their homes but this time they are by the road, under the sky. 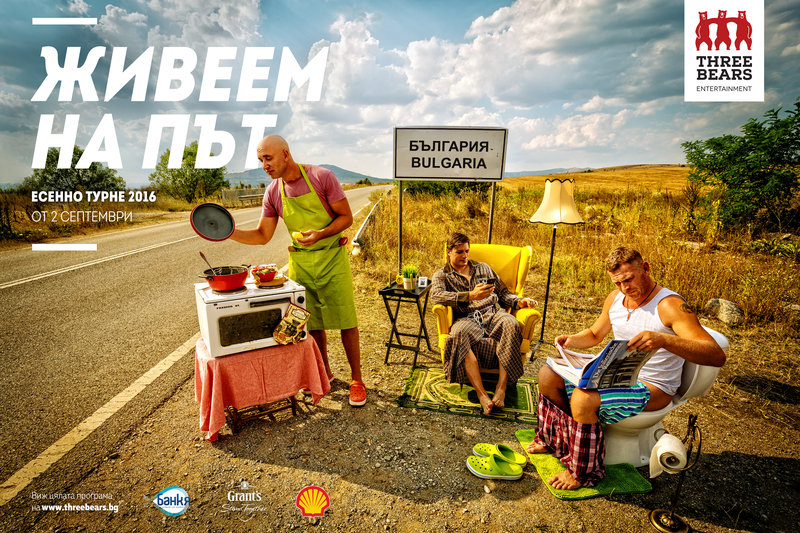 One of the pictures showed them with the signboard “Bulgaria” behind them (the slogan: “We Live on the Road”). The other picture showed them waking in clothes they would normally wear at home (the slogan: “We Take the Shortcut”). The general idea: the road is their home.